Showing 3 articles from September 3, 2015. FRANKLINTON - Glenn TaShaun Lee, 27, died Friday, Aug. 29, in Wake Forest. Funeral service will be held Saturday, Sept. 5, at the Old Franklinton High School Auditorium. Burial will follow in the Wake Forest Cemetery in Wake Forest. LOUISBURG--Melissa Mosley Joyner, 49, died Wednesday, Aug. 26, 2015. Graveside services were held Tuesday, Sept. 2, at the Pernell Family Cemetery, with the Rev. Gary Bateman officiating. STANHOPE -- After a scoreless first half, Bunn and Southern Nash would combined to rack up 34 points after the break. But the Firebirds would get the better of the half and stopped the Wildcats by a 21-13 margin in a prep football non-conference rivalry showdown on Thursday on the SNHS campus. 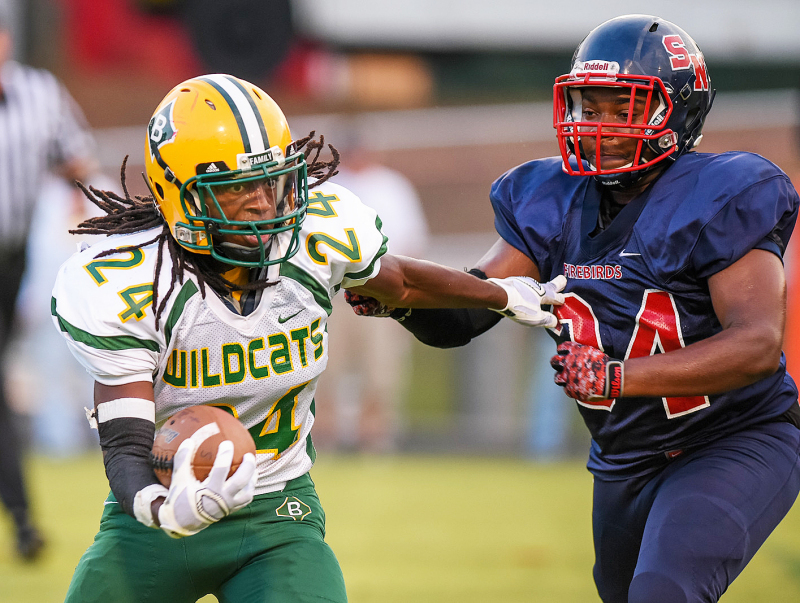 Southern Nash is now 3-0 on the campaign, while the Wildcats dropped to 1-2 overall -- with both losses coming against powerhouses from the Big East Conference.